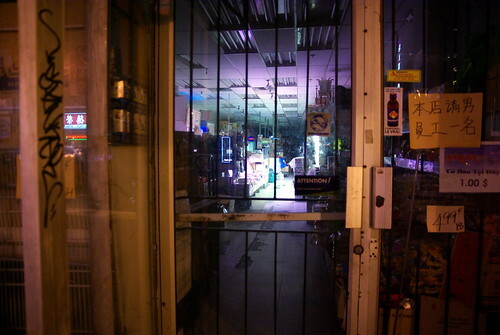 Cette chronique hebdomadaire sur la musique indépendante chinoise est diffusée à Radio Centre-Ville (102.3FM), les mardis entre 22h30 et 23h30. L’émission complète est disponible sur ce fichier MP3, à partir du lendemain de l’émission. This weekly segment on independent Chinese music is broadcasted every Tuesday between 10:30PM and 11:30PM on Radio Centre-Ville (102.3FM). 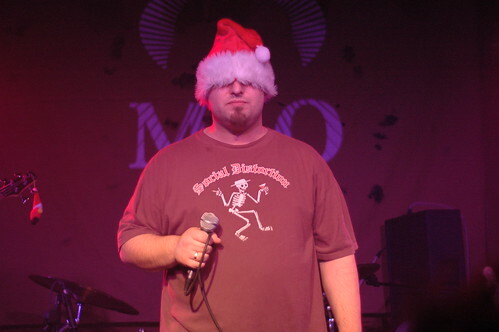 The full-length show is available at this MP3 file, starting from the day following the show. 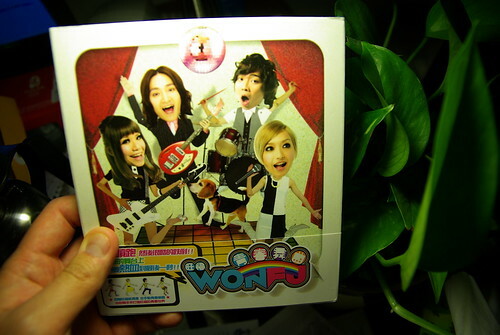 This week, we’re having Wonfu, a band from Taiwan that does in the pseudo-60s, upbeat country-ish (at times) music. They’re fun, and it definitely shows in their music. The song that I will be presenting this week is called “Lady’s Night” (sic). Zhongnanhai 中南海, by Carsick Cars. 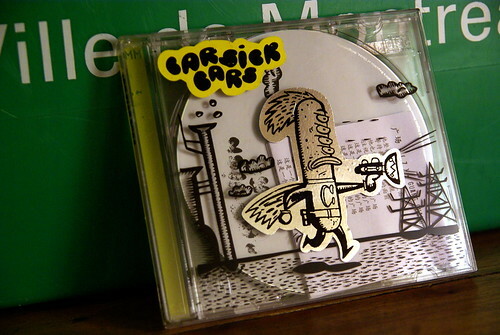 On tonight’s show (from 22:30), I am presenting a song from Beijing band Carsick Cars. Whoever I hung out with, locals or expats, the name of this band would always come up in conversations. They are apparently appreciated the most by foreigners, for whatever reason. Are dubbed the Sonic Youth of China (having toured with them in the past). 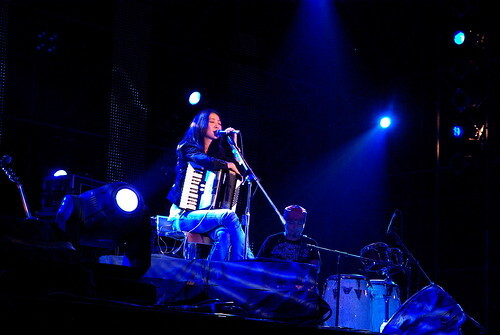 Zhongnanhai (中南海) is perhaps their most well-known song. Fans throw cigarettes on stage whenever this song is performed live in a show. It primarily refers to a Chinese brand of cigarettes called the same thing, as sung in the song (“Who the hell smoked my Zhongnanhai”), and if you bend it, may refer to the place where Chinese leaders live (sort of their equivalent of the White House). Literally, Zhongnanhai means “Middle South Sea”, which is in fact a lake in Central Beijing, just 200m south-west of the Forbidden City. 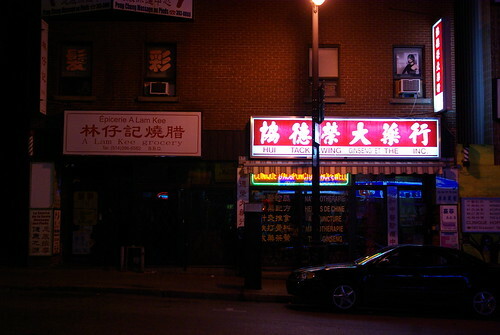 After the tribute to Leonard Cohen at Place des Arts last week, I biked down in the opposite direction to home, and snapped some pictures of Chinatown after midnight. 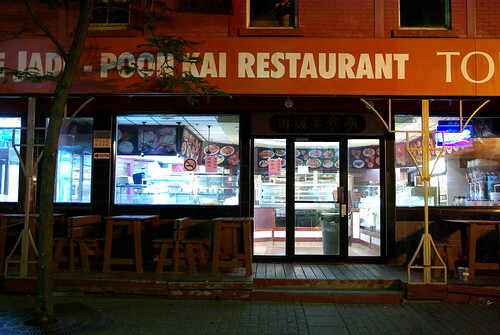 Après l’hommage à Leonard Cohen à la Place des Arts la semaine dernière, j’ai pédalé dans la direction opposée de chez moi, et ai pris quelques photos du Quartier Chinois après minuit. Regarde les Chinois présente maintenant sa quatrième entrevue à Beijing. Native de Qingdao, Patricia Li vit maintenant à Beijing depuis la dernière année. Elle a vécu à Montréal, alors qu’elle était étudiante en administration à l’Université McGill, et écrit maintenant une chronique d’humeur hebdomadaire décrivant des scènes de vie à Beijing. 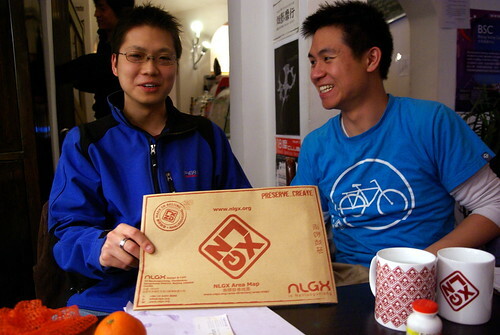 Malheureusement, ses articles ne sont disponibles que sur la version papier du Luby, mais voici un échantillon (Google Translate) récent de ses écrits, parlant de fumer dans les restaurants en Chine. Regarde les Chinois is now presenting its fourth interview in Beijing. 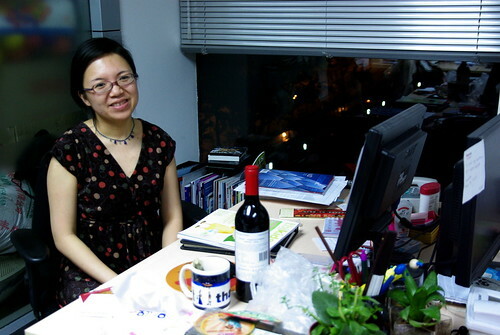 A native of Qingdao, Patricia Li is now living in Beijing since the last year. 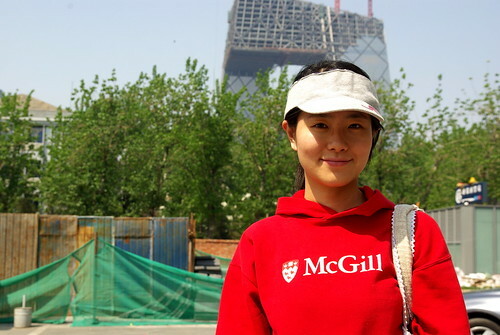 She lived in Montreal, as a management student at McGill University, and now writes a weekly column depicting daily life scenes in Beijing for the Luby, a Montreal-based newspaper published in Chinese. Unfortunately, her articles are only available in Luby’s paper version, but here is a recent sample (Google Translate) of her work, telling her story of smoking in restaurants in China. Alors, mon segment musical a été diffusé à Radio Centre-Ville ce soir. Ça sera disponible à chaque semaine sur ce fichier MP3, à partir du lendemain de l’émission (mardi, de 22h30 à 23h30). Je suis vers la 40e minute cette semaine. So, my musical segment was broadcasted tonight. Il will be available every week over at this MP3 file, starting from the day following the show (Tuesdays, 10:30 to 11:30PM). I’m at the 40th minute this week. 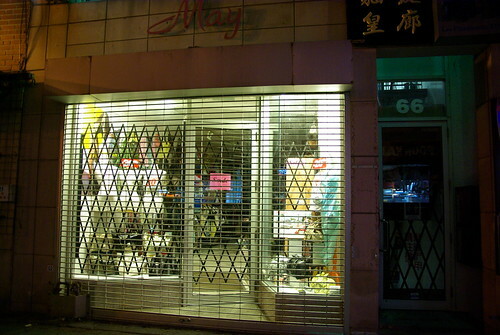 First song translates as “Romance in Kowloon Tong”, and the second is a reference to the name of Beijing post-punk band Snapline‘s latest album, “Party is over, pornostar”. 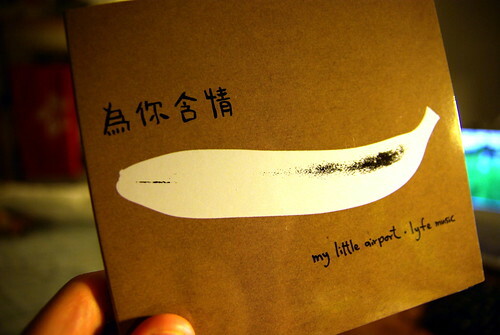 P of My Little Airport subtly does conversation to Li Qing, the girl bassist of Snapline. Although both songs are sung partly or completely in English, My Little Airport are the first so-called independent band that I’ve ever noticed, when I saw and bought their album in Hong Kong, on a trip three years ago. They are a personal favourites that I could not not play in an introductory segment. One can definitely characterize MLA as hailing from twee pop on synthesizers. They are part of every pan-Chinese compilation we’ve ever bought, so we do assume that they’re pretty big (in certain circles) over there! These songs are available free of charge on MLA’s website. They are both featured in MLA’s latest album/collab with Hong Kong independent music icon Chet Lam 林一峰. From Beijing, back in April, I wrote an article for Spacing Montreal on the Beijing Subway during rush hour, at the Xizhimen interchange. Here are some of the many pictures that I took on the subway, perhaps the only moment of daily rest (the distance between stations is so long in Beijing) that I had during my stay in the Chinese capital. 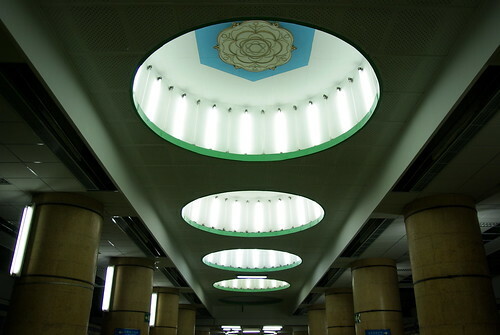 The first photo shows the ceiling over the platform area of a station on Line 2, part of the original system inaugurated in 1969. The second and third pictures were taken on one of the new trains occasionally running on Line 1. 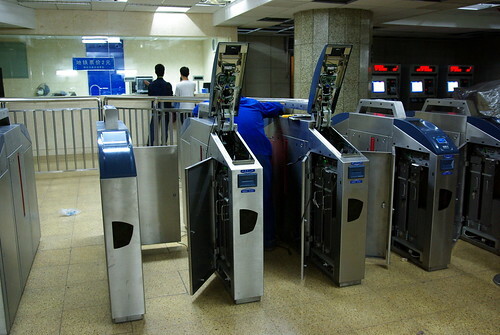 Photo four are the new turnstiles that were finally put for use in early June 2008. 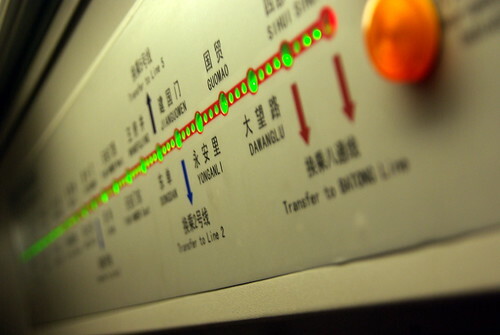 The last photo was taken outside of the Tian’anmen East (天安门东) station on Line 1. De Beijing, en avril, j’ai écrit un article pour Spacing Montreal sur le métro de Beijing à l’heure de pointe, à l’échangeur de Xizhimen. 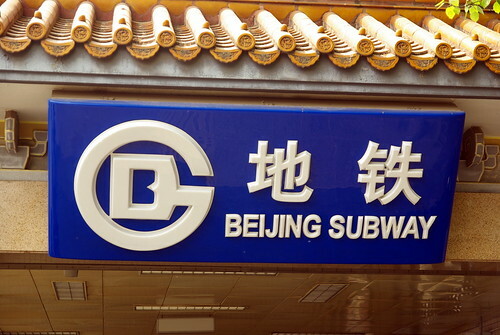 Voici quelques photos que j’ai prises sur le métro, sans doute le seul moment quotidien de repos (c’est tellement long entre les stations à Beijing) durant mon séjour dans la capitale chinoise. La première photo montre le plafond au-dessus des quais d’une station sur la ligne 2, faisant partie du parcours original inauguré en 1969. La deuxième et troisième photo ont été prises sur l’un des nouveaux trains qui roulent sur la ligne 1. Photo numéro quatre sont les nouveaux tourniquets qui ont finalement été activés, début juin 2008. 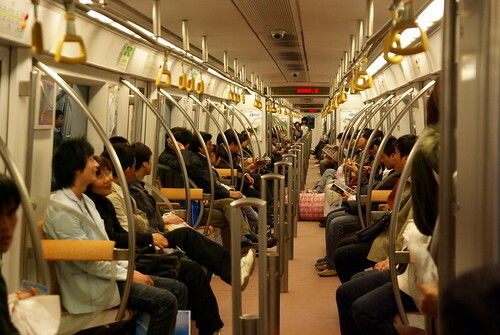 La dernière photo fût prise juste à l’extérieur de la station Tian’anmen Est (天安门东) sur la ligne 1. Voici une chanson que Cheer Chen (陳綺貞) ne chante qu’en concert, et donc non disponible sur aucun disque officiel. Elle s’appelle « Allons ensemble à Paris » (一起去巴黎). Chen chante souvent à propos de Paris, perpetuant l’image romantique de la capitale française. La photo que j’ai prise montre l’interprète-compositrice folk-rock-pop taiwanaise, accordéon à la main (au lieu de sa guitare habituelle) au Spring Wave, un festival de musique extérieur à Kenting. This is a song that Cheer Chen (陳綺貞) only sings in concert, and so not available on any official album. It’s called “Let’s go together to Paris”. 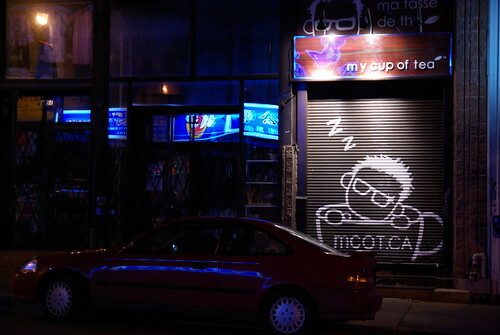 Chen often sings about Paris, perpetuating the French capital’s romantic image. The photo that I took shows the folk-rock-pop Taiwanese singer-songwriter, accordion in hand (instead of a guitar) at Spring Wave, an outdoor music festival in Kenting.